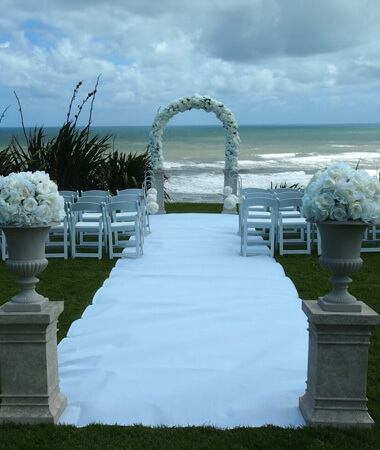 Our White Wedding Ceremony Package looks fabulous in any location – indoors or out. The Covers Team will deliver to your location and if requested style the decoration to perfection. We plan to make everything so easy. What’s in the Parnell Wedding Ceremony Package? SET UP NOT INCLUDED – Please ask for a quote if required. Change chairs to white barrel chairs free. Other alterations to the package may come at extra cost. 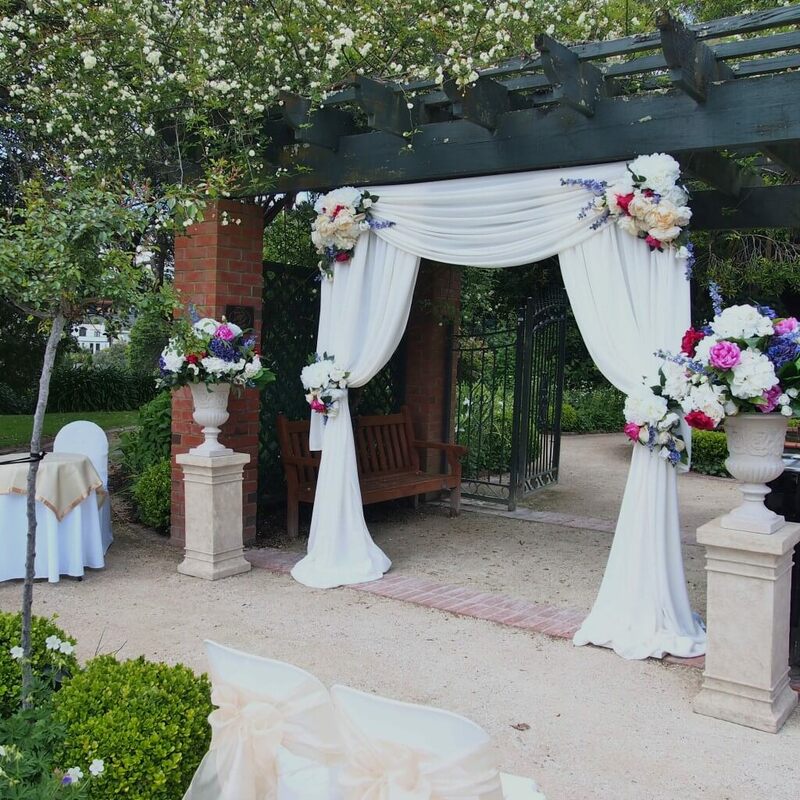 If you are having an outdoor ceremony we highly recommend you use a packdown service so you and your guests can enjoy the occasion without the worry of putting everything away. We also recommend you have alternative arrangements made if the weather does turn bad on the day of your outdoor wedding ceremony. This will ease any disappointment on the day. This package is able to be located inside as well as out so if you are planning a hall, church, home or barn wedding we can transform these areas too. We are here to help you have the best day possible so do contact us we would love to help.